Blairsville Wilbert added cremation services in March of 2004 at its Blairsville location, and October of 2006 at its Mt. Morris location. Personal Human Cremation is offered by certified technicians. 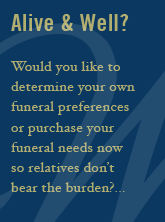 Cremations are carefully returned to your location by our Blairsville Wilbert employees. We also offer a full line of cremation urns and cremation supplies.